Fueling Central Oregon’s fast-growing reputation as a haven for beer aficionados and brewing do-it-yourselfers, a new homebrewing supply shop has just opened in Redmond. Redmond Homebrewing Supply, located at 336 NE Hemlock Ave. #10, opened in late December and focuses on the retail sale and fabrication of homebrewing equipment and supplies, catering to everyone from the novice to the pro. Shop co-owner Adam Henry and his business partner Ryan Minikis co-located the shop at Henry’s auto shop on Hemlock. Henry, an auto technician, got hooked on home brewing after trying it with a friend about two years ago. “I found a used beermaking equipment kit and the obsession started at that point,” Henry said. Minikis, a chemist at Bend Research, is providing more of the financial backing for the company while Henry will be more involved in day-to-day operations. Redmond Homebrewing Supply offers everything a brewer needs to get started, with about 30 malts and grains to choose from and about 20 hops. A basic beginners kit starts at around $70, with advanced kits available for $130. In addition, Henry offers some custom fabrication, such as installing valves into stainless steel pots, to get a home brewer started. In addition to the personalized attention and advice customers will receive at Redmond Homebrewing Supply, they’ll also find low prices when compared to buying online, Henry and Minikis said. 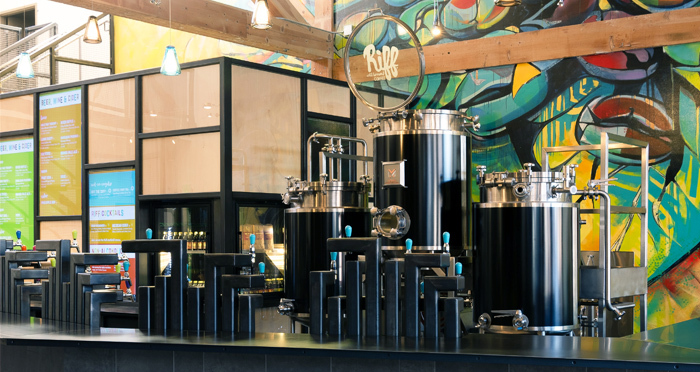 The shop’s grand opening celebration is set for Saturday, Jan. 22 from 11am-4pm, with brewing demonstrations. Henry and Minikis plan to conduct brewing demonstrations every other month as warranted by demand. In the future, as the shop takes off, plans are to move the retail section to downtown Redmond and use the current space for repackaging and manufacturing. And once they get established they also want to add cheese making supplies and equipment because it goes hand-in-hand with the brewing equipment. Store hours are 9am-6pm Monday-Friday and 9am-4pm on Saturday. 541-504-4229.